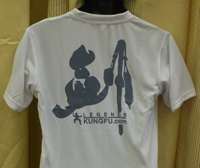 Legends of Kungfu T-Shirts – $13 each! SALE! These are the BEST ever made! 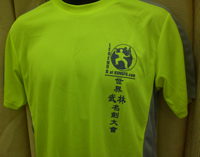 Lightweight, cool-dry sports shirt, breathable & comfortable! Improves mobility with its stretch material. Washable and easy to dry (quick-drying so just hang dry!). 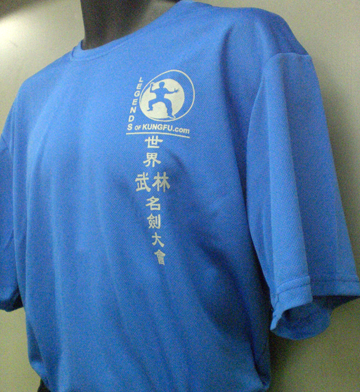 This shirt wicks moisture from your skin, keeping you cool, dry and comfortable during your workout. 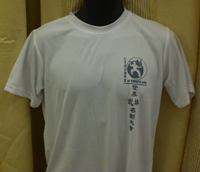 With this shirt, you’ll feel like a LEGEND! 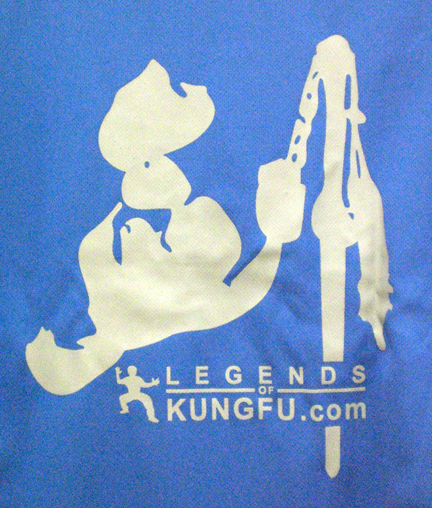 2011 Legends of Kungfu T-Shirts – $13 each! SALE! 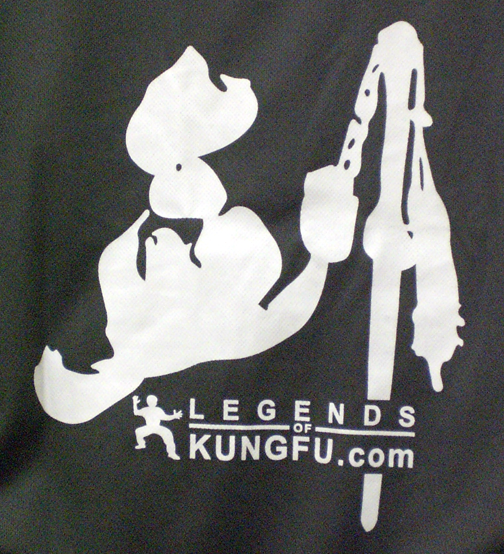 2010 Legends of Kungfu T-Shirts – $10 each! SALE! 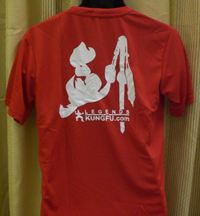 To check availability and sizes, please call 214-878-4598 to order by phone or email usachinwoo@gmail.com. 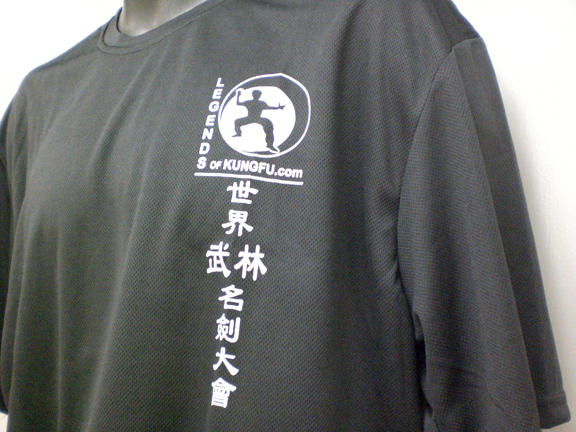 Please contact us if ordering from outside of the U.S. Call 1-214-878-4598 or email usachinwoo@gmail.com. 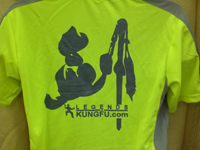 Match your Legends T-Shirt with the NEW Legends of Kungfu Pants! Roomy for kicking & stretching ability, with elastic at the waist and ankles. Also has a right back pocket. To check size availability or to order by phone, please call 214-878-4598. *please contact us if ordering from outside of the U.S. Call 1-214-878-4598 or email usachinwoo@gmail.com. 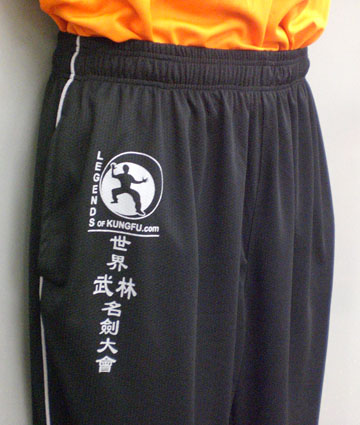 *New* Legendsof Kungfu TRACK PANTS – $29 each! 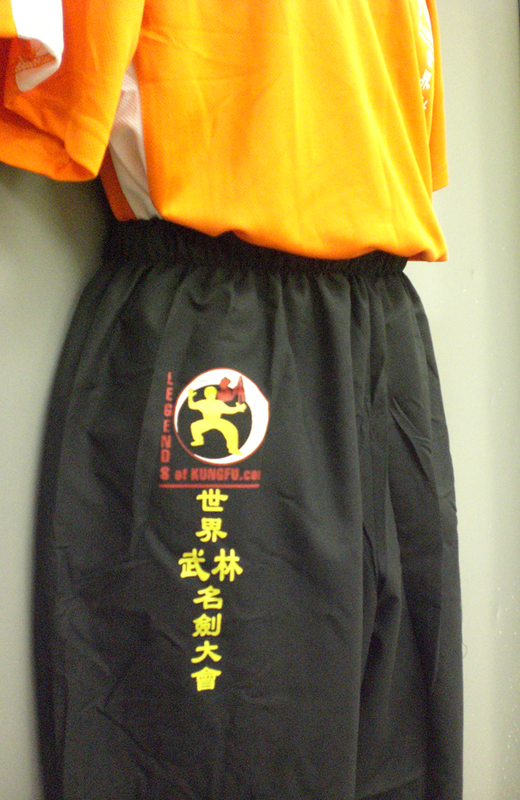 These NEW Legends of Kungfu Track Pants are stylish for everyday wear! Elastic at the top and free flowing at the ankles. Also has front pockets. 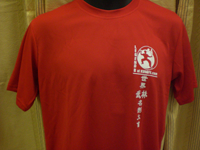 Legends of Kungfu Martial Arts Shoes – $25 each! Now, you can feel complete with the whole set – shirt, pants, shoes!